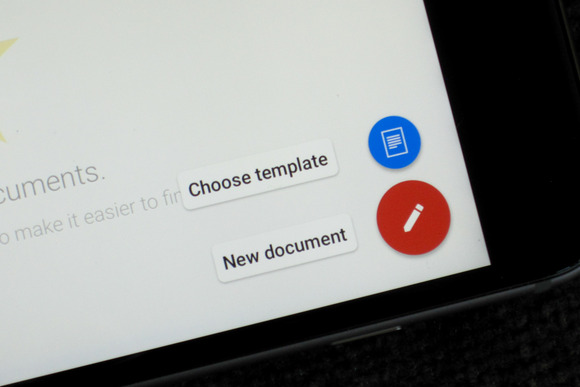 One of the key components of the Google Apps productivity suite has been the tech giant’s focus on providing collaboration tools so that people can work on the same document together, wherever they happen to be. Those capabilities got a group of upgrades on Wednesday across iOS, Android and the Web. First off, the Sheets and Slides apps for iOS and Android have gained commenting functionality, meaning that users can add their thoughts to spreadsheets and presentations on the go (the Docs word processing app already supported commenting). Across all mobile platforms, users can now share files with other people and loop them into a discussion just by starting to type their name in a comment. If the mentioned people don’t yet have access to the file, Google will prompt commenters to give them access, and then notify the people mentioned that they’ve been included in a conversation. It’s an easy and quick way to make sure that people are involved in conversations going on inside a document, even if they’re not sitting down in front of Google Drive and staring at the comments and changes that are going on. For large, busy documents with a lot of people editing, it’s a useful feature. On the Web, Google added a new feature to Docs that gives users a button to instantly add a comment when they select text. That way, it’s easier for people to speak their mind when contributing to a document without having to move their cursor away from the text. All of these updates are important improvements for Google, since Drive’s collaboration functionality is one of the things that sets it apart as a product, especially at a time when the company is gunning even harder for customers using Microsoft’s Office 365.